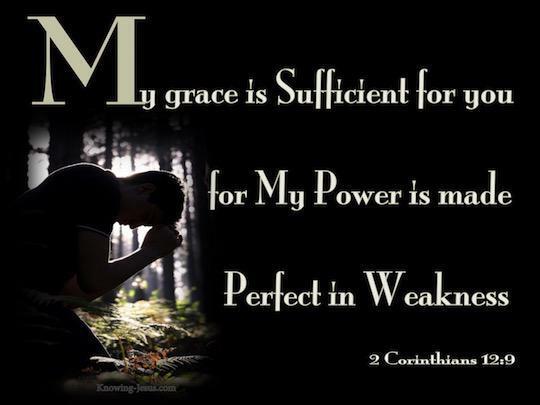 My grace is all sufficient for you, says the LORD: Sufficient for everything in your life. It covers all! You cannot earn My favor by good deeds that you do. My gifts are GIFTS that you receive by simple, child-like, dependent faith in Me and My finished work on the cross. You could not earn your salvation. You cannot earn your healing. You cannot earn your provision. You cannot earn the benefits that I daily load you with. I will give you grace and glory. I will give you UNSPEAKABLE GIFTS, says the LORD. Every good and perfect gift is from Me to you and wrapped in My unconditional love. I freely give you all things to enjoy, says the LORD. My gifts are continual, abundant, spectacular and wonderful. I do not give you anything that is second best. I own everything and all is subject to Me. I will shower you with blessings that will prove My radical love for you and give you more than you can imagine, as you take Me at My Word and believe to receive. You are not a beggar and you do not have to stand in line to receive from Me. I do not disqualify you or compare you to others who you believe are more or less deserving. Come to the table that is spread for you in My presence and receive what I have reserved for you, for you will not be denied any good thing, says the LORD.